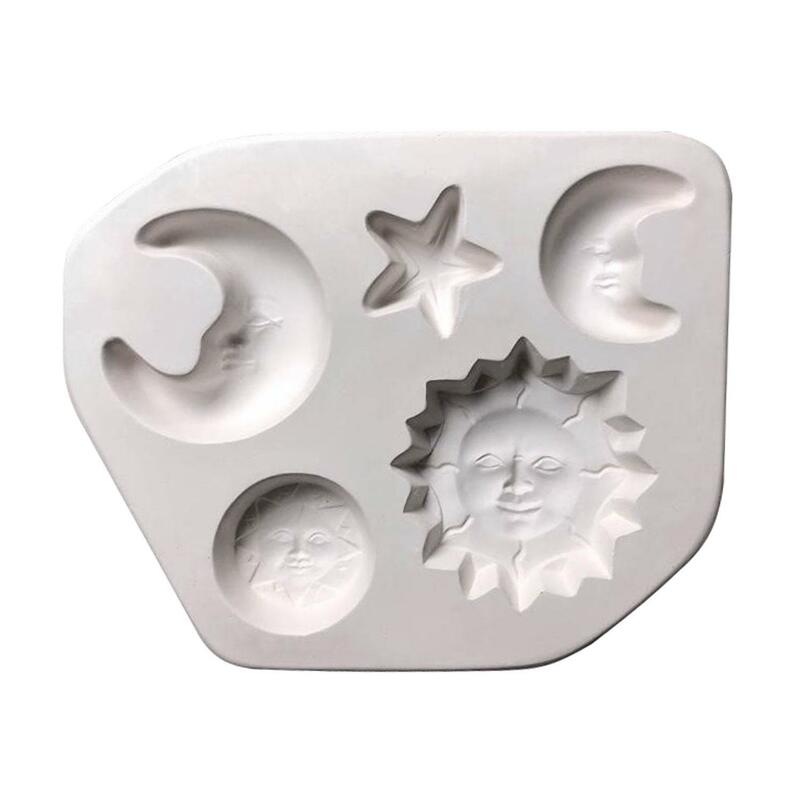 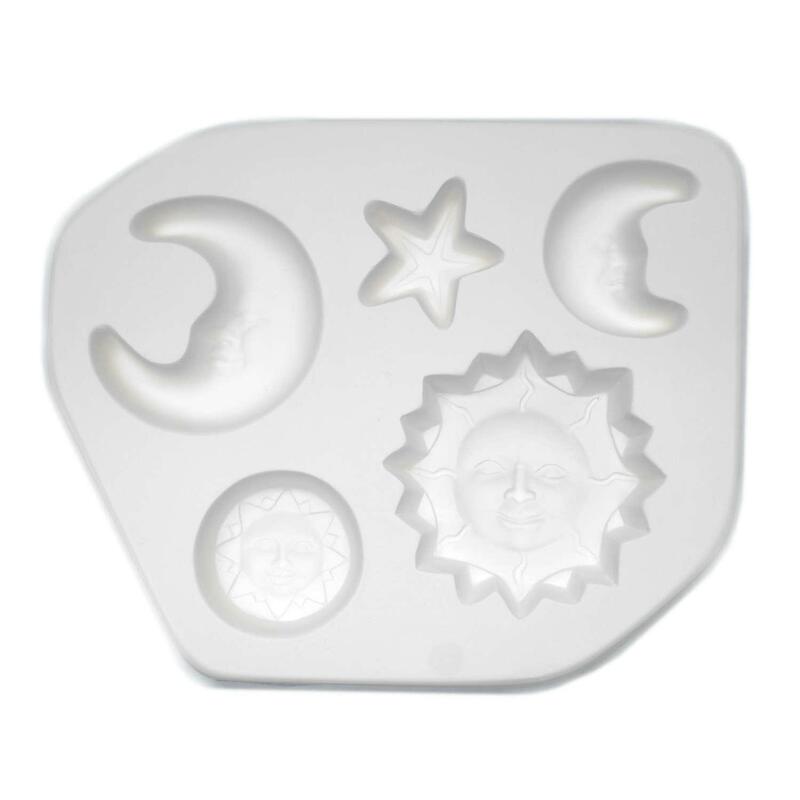 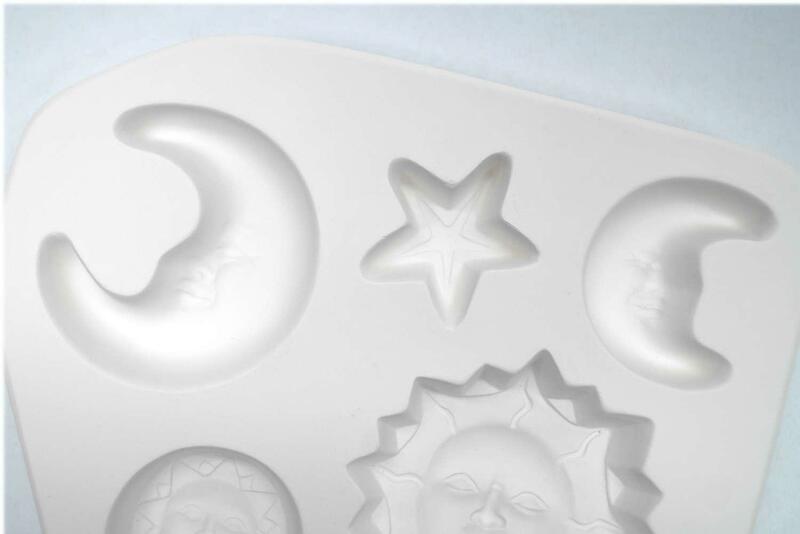 Create five fun casting with the Celestial Casting Mold. 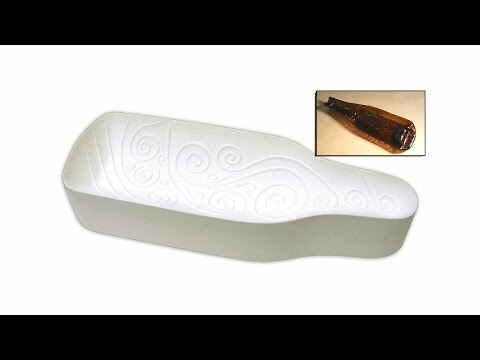 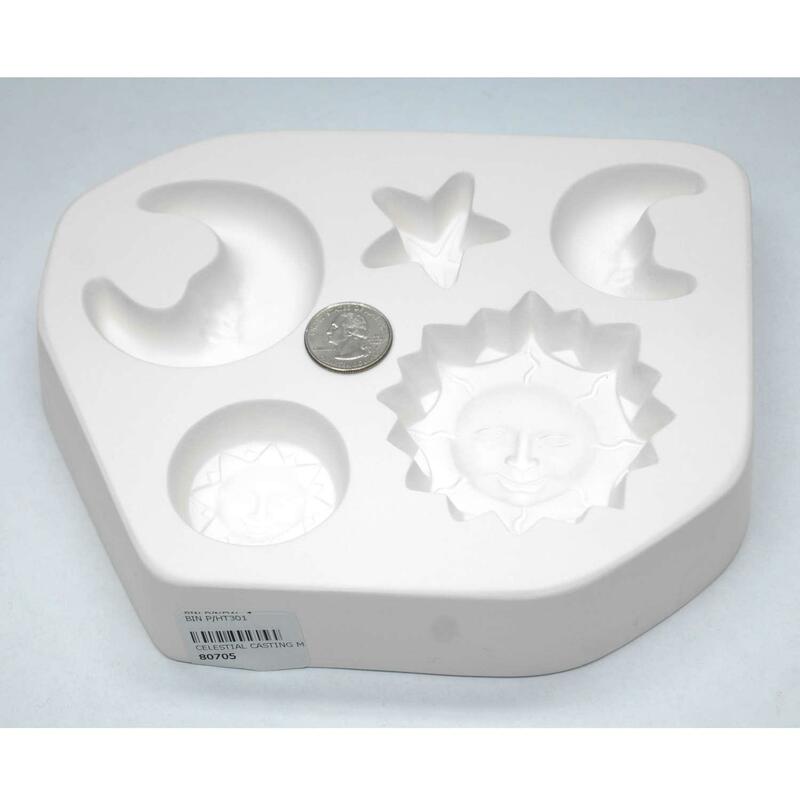 Fill this durable ceramic casting mold with glass frit and scrap glass to create five stunning castings that can be used as a stand alone center piece or can be constructed into a larger project. 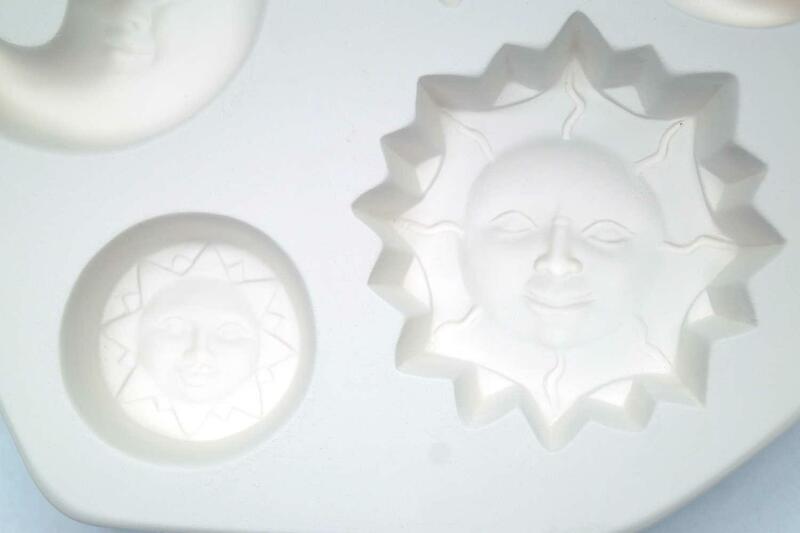 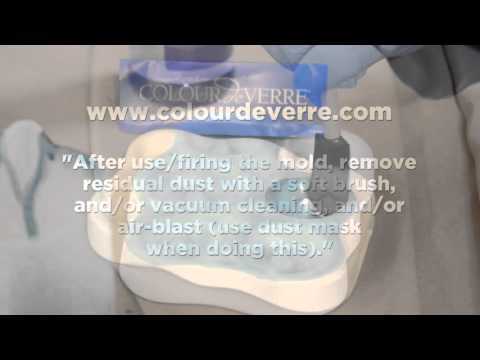 Apply boron nitride spray or casting mold primer before use. 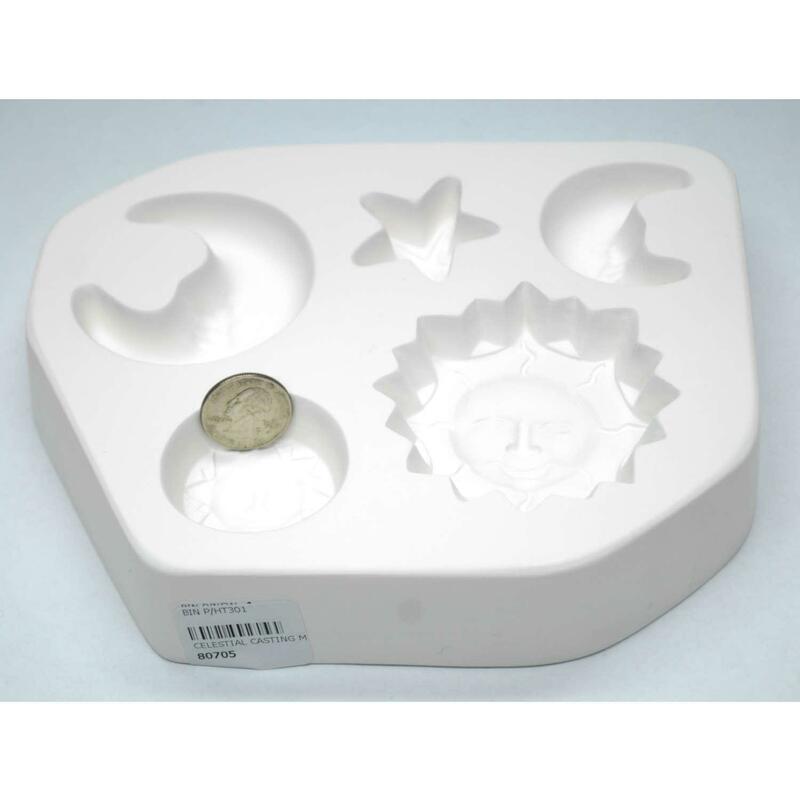 Mold measures approximately 6-1/2" x 8", creates castings that range in size, approximately 1" - 2-1/2" in diameter. 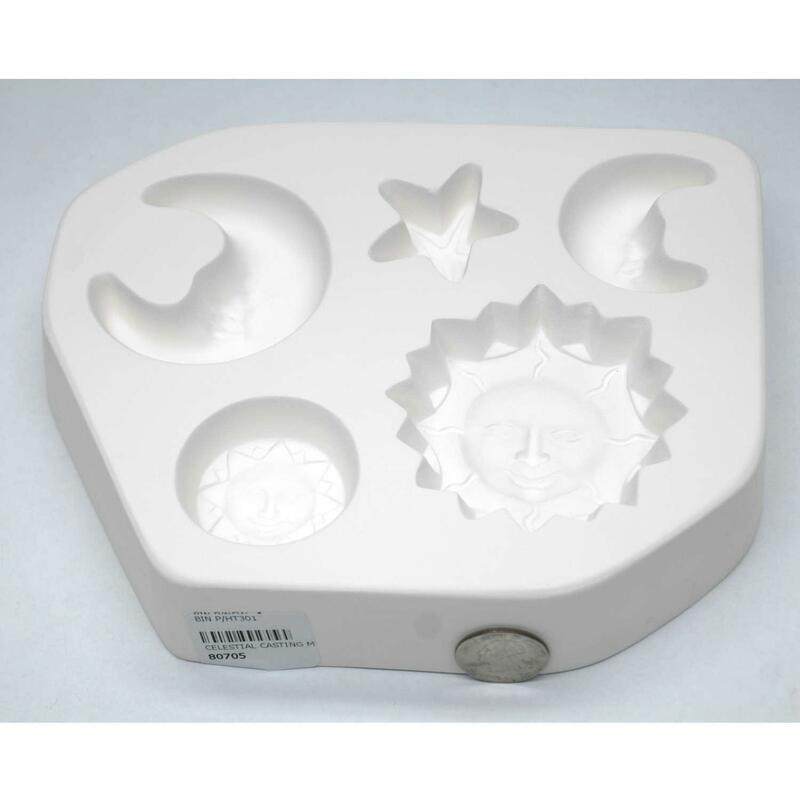 Fill weight for the large sun is 42 grams, the small sun is 12 grams, large moon is 20 grams, small moon is 8 grams and the star is 3 grams. 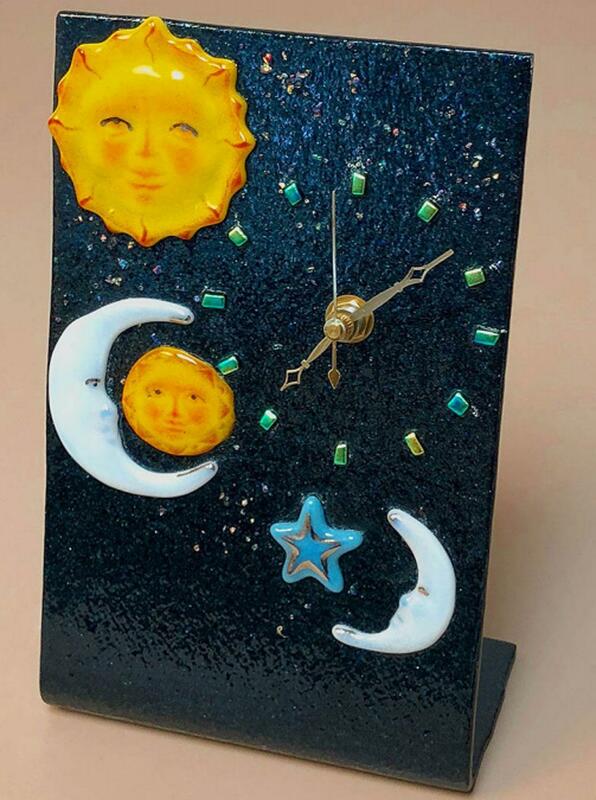 Project courtesy of Stephanie O'Toole of Creative Paradise.